In this post, we will demonstrate to you how to create a visual sitemap in WordPress without writing any code. First and for most, you need to install and activate the Slick Sitemap plugin and create a navigation menu in WordPress before setting up the plugin. You can create menus with sub-menus and sub-menus can have their own sub-menu items using the WordPress navigation menus. It will have all the pages or posts that you want to display in your visual map and name this menu Visual Sitemap and save it. You will be able to create another menu or use an existing menu which will be used as the utility menu on top of your visual sitemap. Once you’re done creating the menus, setup your visual sitemap by going to Settings > Slick Sitemap page to configure the plugin. In the sitemap menu option, you need to select your main visual sitemap menu and the number of columns you want to be displayed. Click the utility menu and the save changes button to store your settings. 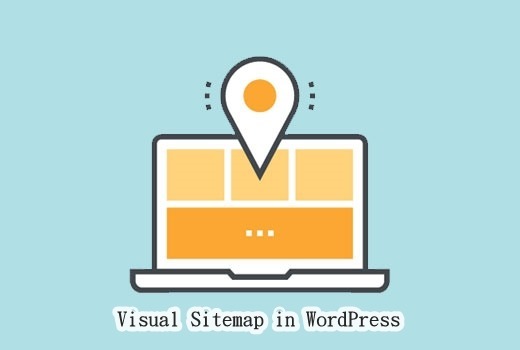 By displaying your visual sitemap in WordPress site, you must create a new page in WordPress and add the shortcode “[slick-sitemap]” in the content area. Lastly, click on the save or publish button to store your changes. If you want a video tutorial, visit at How to Create a Visual Sitemap in WordPress for details.